The RK2 2U rackmount system is designed for maximum expansion with space flexibility, consistency and long-life. 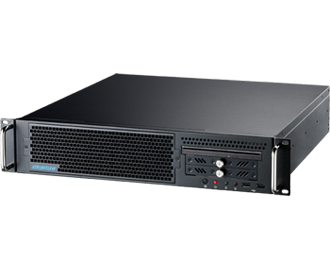 The 19” rackmount RK2 enclosure provides PICMG 1.0, PICMG 1.3 and micor ATX form factor systems for various functionality and expansion an industrial system may require. Compact and rugged, each of the PICMG 1.0, PICMG 1.3 and micro ATX version of RK2 provides 4 expansion slots to meet most industrial add-on applications. Three 8 cm chassis fan with washable air filter provides system with ample cooling and positive internal pressure, keeping dust and particles from entering system in most industrial environments. * Build to order on Rackmount system is available. Contact us for further information.